Yes, it is not your usual travel story. 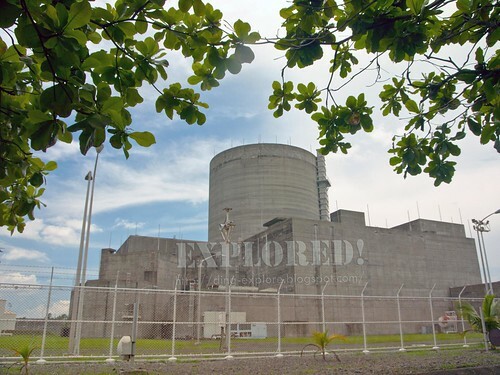 But one thing is for sure--The Bataan Nuclear Power Plant (BNPP) is now in operation--at least, in the meantime--as a tourist attraction. More than a week ago, I was tagged on Facebook for an eco-tour organized by the Greenpeace Philippines and Philippine Rural Reconstruction Movement. Right away, I responded to the call to fill up the remaining 16 seats. Why not? The trip was cheap that covers the guided tour, entrance fees, bus fare, lunch, though sans the refreshments in between. But nonetheless, it was worth the P500 trip. Apparently, the eco-tour was subsidized by the two institutions. More importantly, the mere mention of BNPP was enticing enough! I was still in high school when we were barraged with issues surrounding this mothballed project. 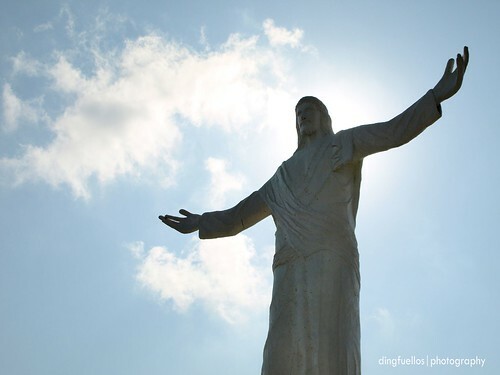 Up to now, the issue of whether or not to operate it is still lurking upon us, the Filipino people. This issue becomes even more contentious with the Fukushima Nuclear Power Plant's failure to withstand the wrath of nature, which happened 3 months ago. Thus, being inside a nuclear power plant, which is a rare experience, makes it more interesting! The BNPP is shrouded with political, economic, environmental, sociological, cultural, and regional and international issues, but, first and foremost, this is a travel blog, so discussions of these concerns are reserved for another venue. Thus, I would like to tackle it first the way a curious, hungry and un-involved mind would be--to know better how on earth does a nuclear power plant look like from the outside, what is inside of this white mammoth project, and what kind of animal is a nuclear reactor? Yes, something like seeing for myself what I read in textbooks and what I see on Discovery Channel. The plant tour started with a short lecture by National Power Corporation (NPC) officials--who manages the BNPP, how it operates, why is it different from the Fukushima nuclear power plant, what safety measures have been undertaken after the Chernobyl nuclear meltdown, how a uranium looks like, why it is safer (according to NPC) to operate the BNPP compared to fossil-based extraction or hydro-electric power plant, etc. It was purely educational and expository in nature. Thank God, no heated arguments have taken place between the participants and the NPC officials, as everyone seems to be more excited to get inside the plant! After the lecture, we were led to the grounds for photo-ops. Now I understand why it is best to take your souvenir photo before going inside the mammoth plant--you will also know later, of course. Before the plant tour, however, we were reminded not to take photos inside. After friendly negotiations, however, we were "allowed" to take photos but we were discouraged not to use it to put the NPC and BNPP, and the whole nuclear power concept in a bad light. So now, I am doing them a favor. I am making them more popular with this post. Who knows? They might eventually become a tourist attraction as what has been suggested by the Department of Tourism. So, we proceeded to the fenced and supposedly heavily guarded compound. Back in the day, there were already metal weapon scanners/ detectors installed, but these are now considered ancient, thus not operational. Perhaps, NPC should upgrade those metal detectors and not allow bags inside or at least inspect bags inside the plant for security reasons. After all, this piece of property still needs to be tightly guarded. The feeling of getting inside the fence was exhilarating for a first-timer like me. After all, it was off-limits to ordinary people for more than two decades. As we drew near the entrance, (which is more like a backdoor to me) the other visitors got even more excited (like me!). Once inside, I felt like I was in a sci-fi movie set with all those pipes and meters and gauges! First Stop: Pumping Section. Our first stop was the water pumping section where the plant pumps water in and out of the plant. Water is pumped into the nuclear reactor to produce steam, which then produces heat energy and converted into electricity. 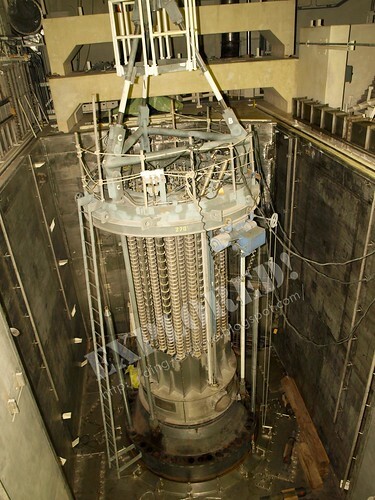 More than a hundred thousand liters of seawater need to be pumped into the reactor. Second Stop: Electrical Section. We were led to a narrow corridor, leading to a flight of metal staircase, that brought us to this section where they control the electrical supply for the entire plant. Again, this looks like a sci-fi movie set with all those metal control boxes. It is like inside a big room with a row of huge circuit breaker panels. Third Stop: We were led to a maze of corridors that lead to a hollow section just outside the cooling tower. Now, this leads me to think in case of emergency. One who is working inside the plant should know the passageways and exits by heart because one can easily get lost inside! According to the Engineer guide, the wall encasing the reactor is 1 meter thick of high-grade concrete and reinforcement bars has a few inches gap between the main structure and is padded with foam as protection from an earthquake. No plane the size of Boeing 747 can also break through the wall and it can withstand an earthquake with a magnitude of 8.0 on the Richter scale. The location of the plant is also safe from the tsunami as it is already high at 18 [or is it 30 as I read somewhere?] meters above sea level, which is definitely much higher than the Fukushima plant. Fourth Stop: Inside the Nuclear reactor chamber. We entered this decontamination chamber with two sealed vacuum doors, which according to the guide, is opened one at a time to prevent contamination of the entire plant. Then we went up several meters high through a steel staircase until we reached the viewing level for the reactor and the cooling chambers. 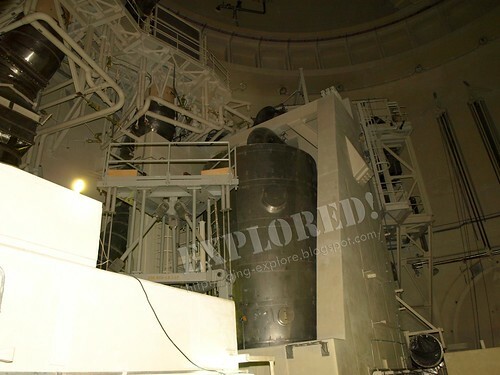 According to the guide, the BNPP has two separate cooling chambers compared to the Fukushima plant, which has only one. If one cooling chamber fails, then they can easily redirect the hot water to the other one. This was one of the redesign measures they installed after the Chernobyl meltdown. On this note, we noticed that while going near the reactor chamber, the temperature goes up. As expected, we were all dripping with sweat due to humidity as there is no longer fresh air coming inside. Hence, it was more convenient to have the picture perfect souvenir photos taken before the plant tour, unless you'd like to see yourself in pictures--yucky and in a total mess! When operating though, the temperature inside the chamber is controlled. Fifth Stop: Control Room. This is the brain of the entire plant. It is equipped with a control panel of gauges, monitors, knobs, keys, and buttons that only trained people can manipulate. For this entire section, only three (3) technical people are authorized during the operation. 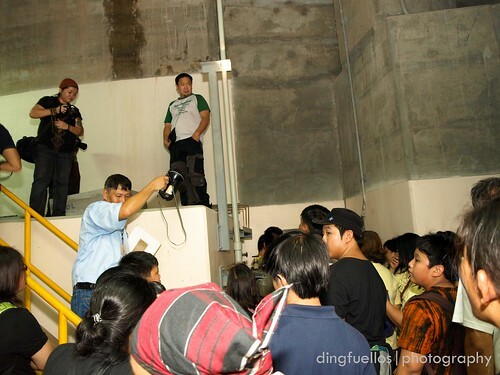 If other personnel (even officials) and visitors would want to look into or inspect the control room, they are not also authorized to go beyond the viewing room which has a one-way bullet-proof mirror. Again, this is one of the security measures they installed after the Chernobyl accident. 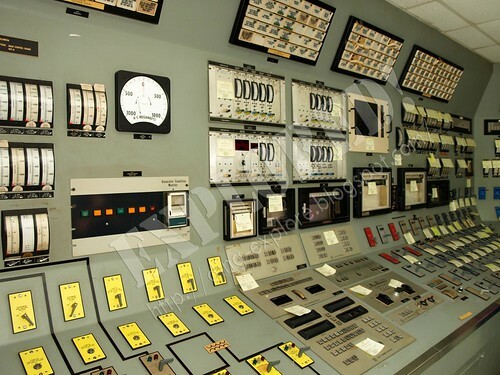 Apparently, even unauthorized personnel were allowed inside the control room of the Chernobyl plant, which caused further confusion and added problems during the meltdown. Sixth and last stop: Power Generator section. This is where all the steam and heat energy is converted into electricity which is stored and is connected to cables for distribution. Going up here, though requires one to go climb several flights of narrow steel staircase. This is a big space enough to play basketball or badminton, or perhaps, an exhibit area if the plant is converted into a museum and art space. Getting inside the plant is one beautiful educational experience especially among students who would want to learn more about nuclear energy. 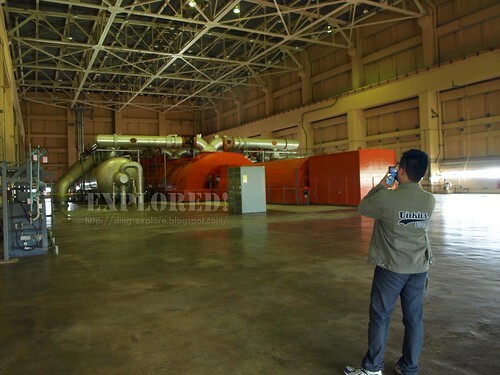 The National Power Corporation has opened this nuclear energy facility for public awareness and social marketing, which it did not have during the construction phase. With billions of dollars in the budget, I wonder why there was no PR done or community relations done on this project. Although it is not too late, NPC hopes to educate and inform the people what the BNPP looks like, how it operates and how it will benefit the country in its bid for industrialization. On my part, I could say I am better informed and perhaps more ready for an informed discussion about the pros and cons of the BNPP. The question of whether I am for or against its operation, will not be answered here. Let us enjoy the photos in the meantime. For the rest of the photos, click this link. Thank you for reading The Pinoy Explorer! All contents of this blog, or otherwise stated, are copyrighted. For syndication, the use of articles and photos, send me an e-mail. Thank you! Wow ibang klaseng trip to Ding ah! Para maiba naman, Christian. Thanks! nakita ko lng tong power plant nung nsa beach ako sa morong bataan. with the help of your pictures prang nakapunta na din ako. thanks for sharing! @Pinoy adventurista, Yeah, puwede na, but they cater to group tours, I think. Salamat din. Do you have the contact info for the tour provider? Really would like to visit this place. @Lily, thanks for dropping by! @Sarls, I have included some details below the blog entry. Thanks for the visit and inquiry! Hi Micamyx | Senyorita! Indeed. parang science fiction movie set! Thanks for the visit! Cool !!! I didnt know pwede na pala mag tour jan...sulit ba? nice post! this is something different. reminded me of field trips during college. Wow, akala ko totally off limit na to sa pubic simula noong magsara sya. At least kahit papano may pakinabang naman sa laki ng ginastos dito dati. @Virgo, yes. puwede na. Yeah sulit naman especially if you are into issues like this. @Jam, thanks for dropping by. I will follow your blog! You seem to have nice entries there. Thanks! Thanks, Ian. I think you need prior arrangement with the BNPP management. 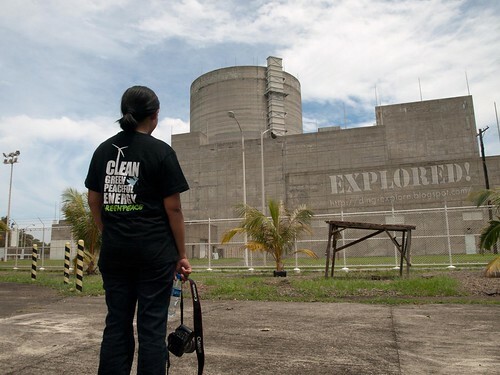 Wow!A Nuclear White Elephant,how many megawatts can it generates if it runs? Hi Thomas! It would have generated 621 megawatts of electricity. But then this project was and is still contentious in the Philippines. @Anonymous. I think you have to coordinate it with the National Power Corporation based in BNPP itself. That is pretty unique. 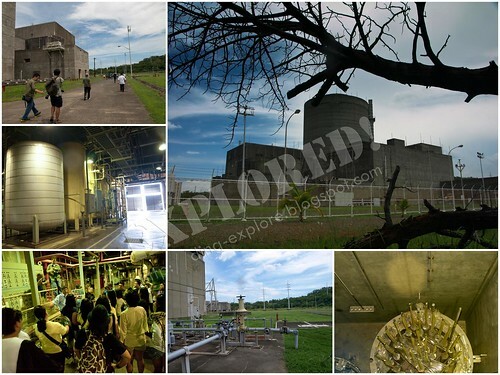 I don't know of any other place that offers tours of an actual nuclear plant. Too bad it isn't used for what it was actually built for. But I guess the risks outweigh the rewards. sinu po pwede tawagan or email para mkapag conduct ng plant visit po??? Shen, try the contact info provided below the story. Thanks! Ilang hours ung buong tour sa plant? @Vice Arnie, it wil ltake around 2 hours at most, if I remember it right.